Nestled in a quiet, mature neighbourhood, you will find paradise only minutes away from your most desired conveniences. This 3-story walk-up building is perfect for anyone looking to live in a relaxing area, where you are able to enjoy the simple things of life. With large private balconies, spacious layouts and a convenient location 60 Paul Avenue is perfect for 55+ and working professionals to enjoy their neighbourhood. Live with the assurance of a well-maintained property with the care of a professional building manager. Here, you will be content knowing your needs and concerns are addressed with excellent, hands-on customer service. This apartment building also has a pro-active maintenance program in place, where all your service requests are answered in a timely manner. Take a tour of the neighbourhood and you will quickly find you are located near many desirable amenities, including popular grocers, convenience stores, restaurants, Guelph General Hospital and the Evergreen Seniors Centre. 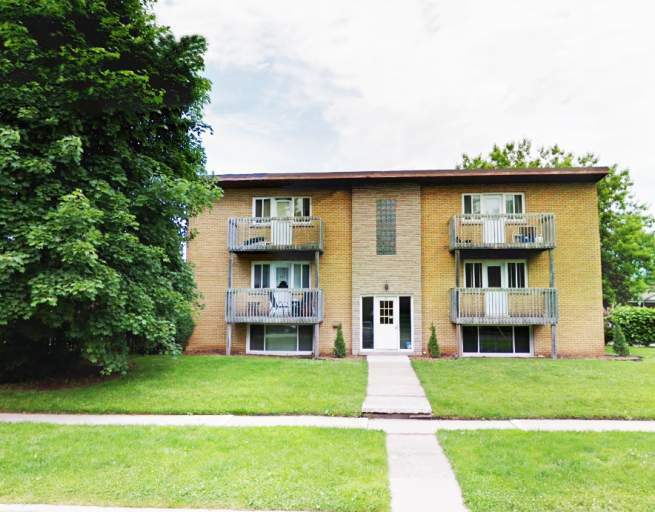 This apartment building is conveniently set, only minutes away from the beautiful Riverside Park. This park is set along the Speedvale river and offers the community a gorgeous area to take a brisk walk, run, or bike ride on the Speed River Trail. Let your worries float away, as you admire the lovely rock gardens and the views of the pristine waterfront. With a residential community that is balanced with the necessities you need and the leisure activities you crave, 60 Paul Ave, Guelph is your entryway to a peaceful lifestyle.